This Apple Cider Vinegar Chicken Marinade produces the most tender, juicy, and flavorful chicken, every time! 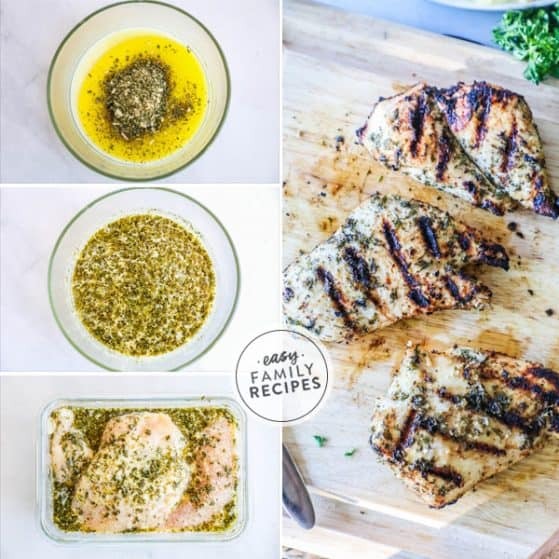 We love to use this marinade to make grilled chicken breast for dinner or to slice and add to salads or pair with veggies for meal prep. Perfectly tender, super juicy grilled chicken is pretty much the holy grail of grilling, right?! This Apple Cider Vinegar Chicken Marinade is a go to for us because it consistently produces some of the best grilled chicken. If you want to get that holy grail of perfect grilled chicken, there are a few steps tricks that help get that awesome, perfectly cooked chicken every time. This marinade takes care of the first one and we are going to walk through the other two together to make sure you are the star of the grill this summer! Grilled Chicken is absolutely one of our favorite dishes, especially in the fair weather months! There is so much you can do with it, and so many different ways you can serve it. 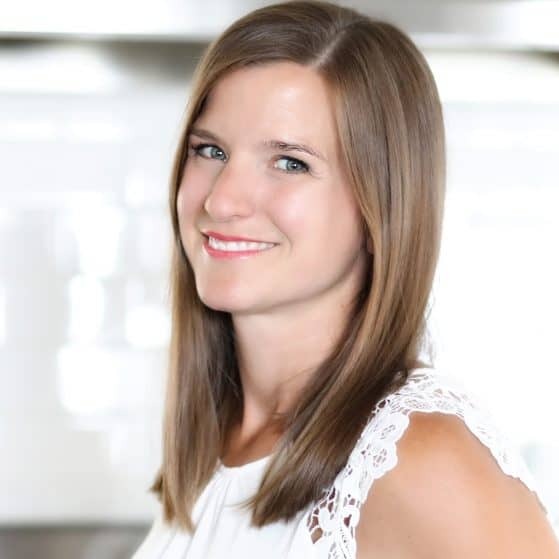 I am going to list a few ideas to help give some inspiration for your meal planning, but there are so many more great sides than I can list here. 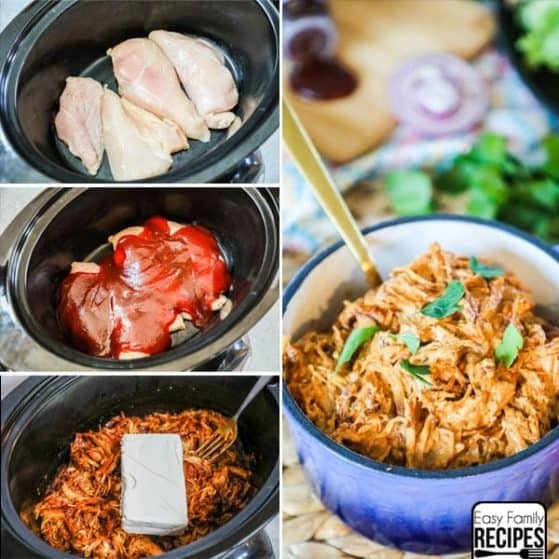 You can also use this chicken, or even better, leftovers of this chicken to make some great easy meals. 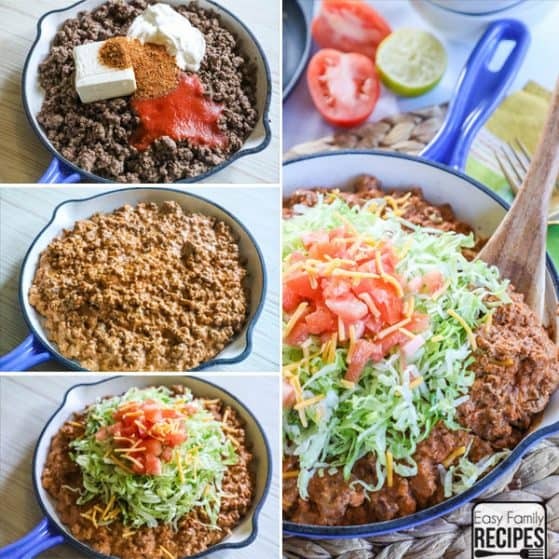 Dinner is super quick when your meat is already prepped and ready! 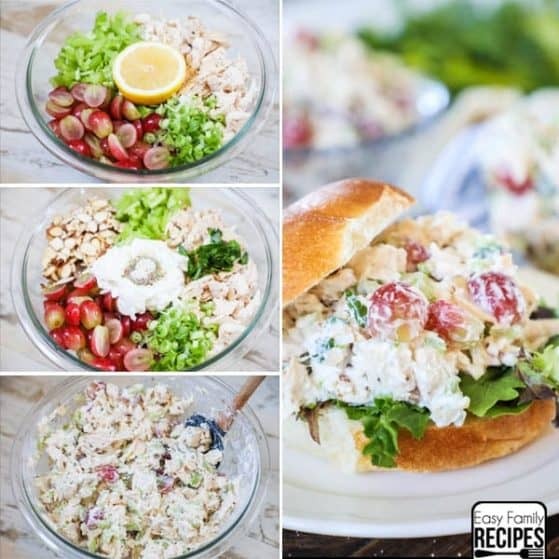 Salad– This is one of my all time favorites! 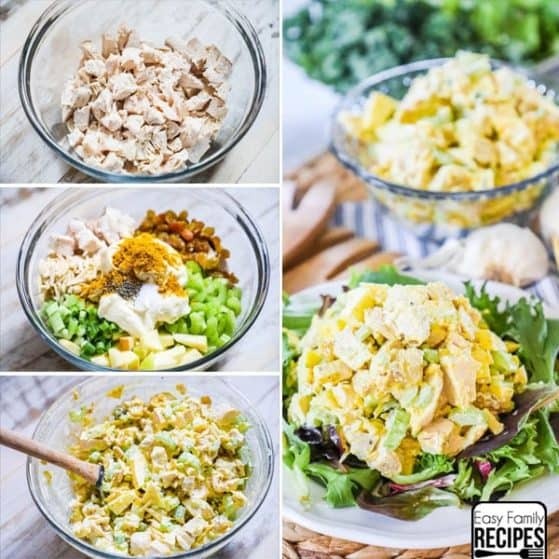 Slice up the grilled chicken and add it to the top of any salad to make it a filling meal! Pasta– Top your favorite pasta with slices of this grilled chicken. Alfredo is my favorite but marinara is delicious too! Power Bowls– Place a grain like quinoa, rice, or even cauliflower rice in a bowl. Add your favorite chopped veggies, chopped chicken, cheese, then drizzle with a vinaigrette like this balsamic dressing. This is a super simple recipe. With a few tips, there is no doubt you will be on your way to some of the most tender and juicy grilled chicken you have ever had! 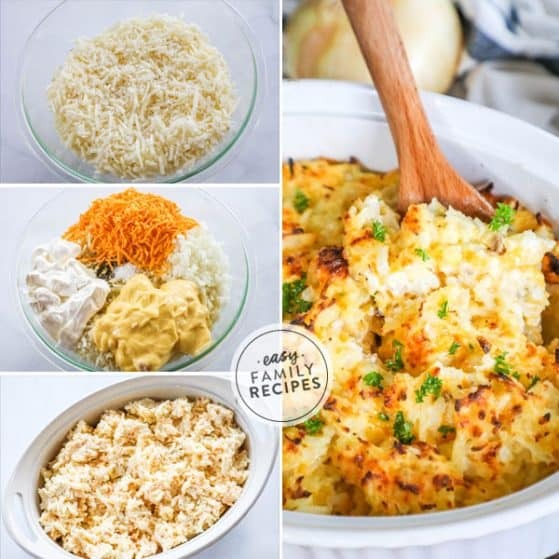 I am sharing an overview with my pointers below, but make sure that you scroll down to the full recipe card at the bottom. Whisk together the olive oil, lemon juice, apple cider vinegar, garlic, basil, parsley, rosemary, thyme, salt and pepper. It is important to use FRESH ingredients in this recipe for the best result. You will want to use fresh herbs, not dried herbs. If you were to use dried herbs, they are much more potent and it would be far too strong. 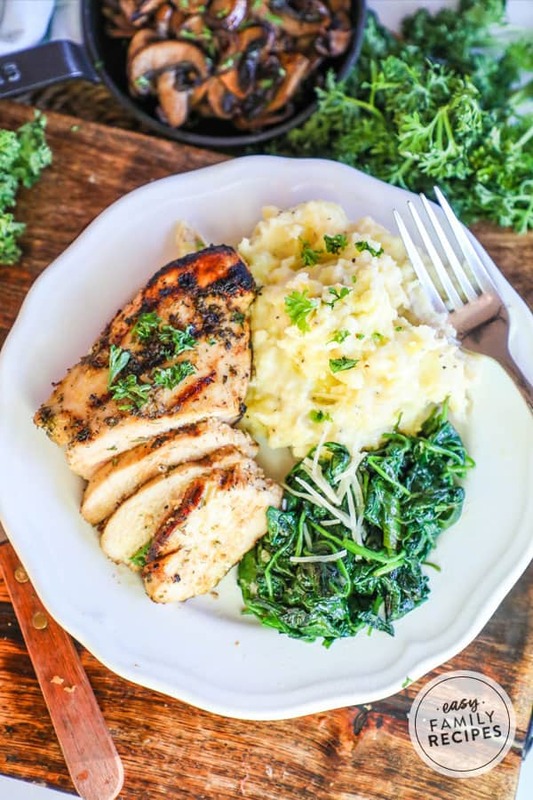 If you are looking for a recipe with dried herbs, try my Balsamic Chicken Marinade! Even the lemon juice really makes a difference when you use fresh. 1/4 cup is about the juice of one large lemon. Poke the chicken all over with a fork. This allows the marinade to really get into the chicken, flavoring and tenderizing the meat. Place the chicken in a zip top bag or sealable dish and pour the marinade over the chicken. Let the chicken marinate in the refrigerator for 30 minutes – 4 hours. When you pick a container to marinate the chicken in, choose something that doesn’t have too much extra room. The more snugly the chicken fits with the marinade, the more the marinade will surround and cover the chicken and do it’s work. It is important to give the marinade at least 30 minutes to do its work. I prefer to let it marinate for at least two hours. You can also let it sit overnight if you want to prepare it ahead of time, but it will be a bit more flavorful. Heat the grill to medium heat. Once it is hot, add the chicken and grill for 4-6 minutes per side. Make sure to preheat your grill and add the chicken once it is hot. This does 2 things, first it helps the chicken not to stick to the grill. Second, it keeps the chicken juicy. Since all chicken breasts are different thicknesses, each will take a slightly different time to cook. 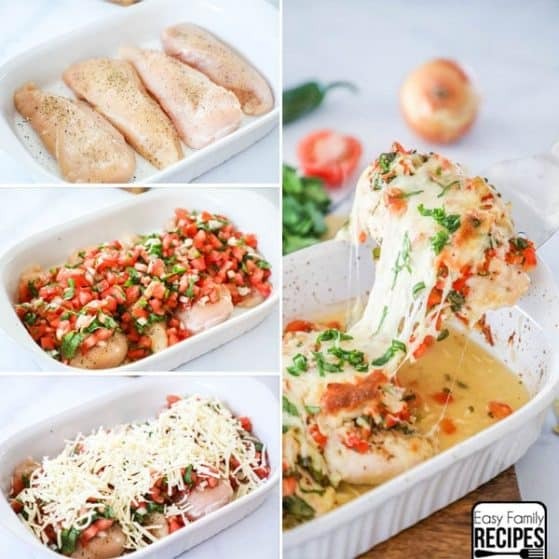 Thin chicken breasts will cook more quickly and thick chicken breasts will take longer. Chicken is done when it has reached 165˚F internal temperature. Let rest 5 minutes, then serve hot! This allows the juices to seal into the chicken before it is cut. If you can’t wait, at least give it two or three minutes! Can I use chicken thighs or other cuts of meat? 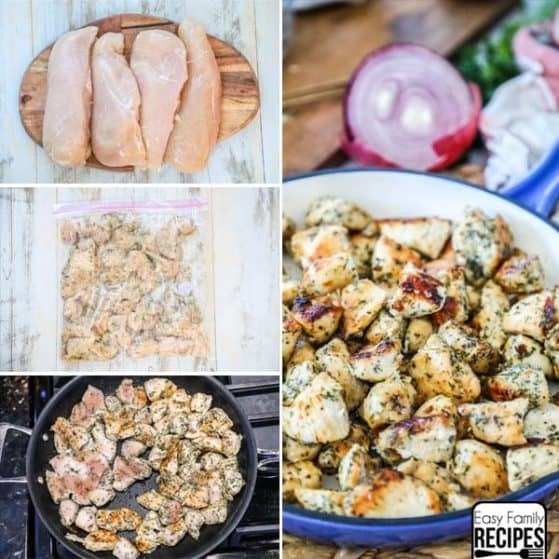 Yes, this recipe will work with all cuts of chicken, both bone in and boneless, skinless. Chicken thighs, chicken tenderloins, and chicken wings will all work well. If you change the cut of meat, the cooking time may vary. The number one reason chicken is dry, is because it is over cooked. 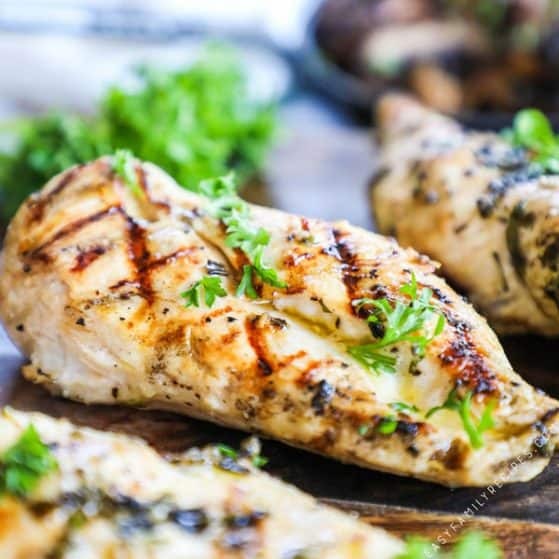 No amount of marinade can save over cooked chicken! I highly recommend using a meat thermometer when you grill. They are inexpensive and you can get them everywhere from Wal-Mart, to Amazon, to Williams Sonoma. Having a meat thermometer will allow you to cook the meat just until it is done and no longer which is key in keeping it tender and juicy. If the outside of your chicken is getting too done, you likely either have the heat on the grill up too high, or the chicken is on a hot spot on the grill. I recommend cooking over medium heat to allow the inside to cook fully before the outside becomes over done. You will want to watch the chicken, and if you notice that the chicken is getting a little too browned on the outside, you can move the chicken to a cooler spot to finish cooking on the inside while the outside gets a rest. On some grills, you may need to leave one burner off to create . a nice cooler spot to move the food to. Can I freeze this chicken? Yes! This chicken can be frozen before or after cooking. Place chicken and marinade in an air tight container or zip top bag with minimal extra space. When ready to grill, let chicken thaw in fridge until COMPLETELY thawed. Then grill as directed. Place chicken in an air tight container or zip top bag. I like to pre-slice my chicken and package in meal sized quantities. When ready to use, thaw overnight in the refrigerator, or by microwaving in 30 second increments. 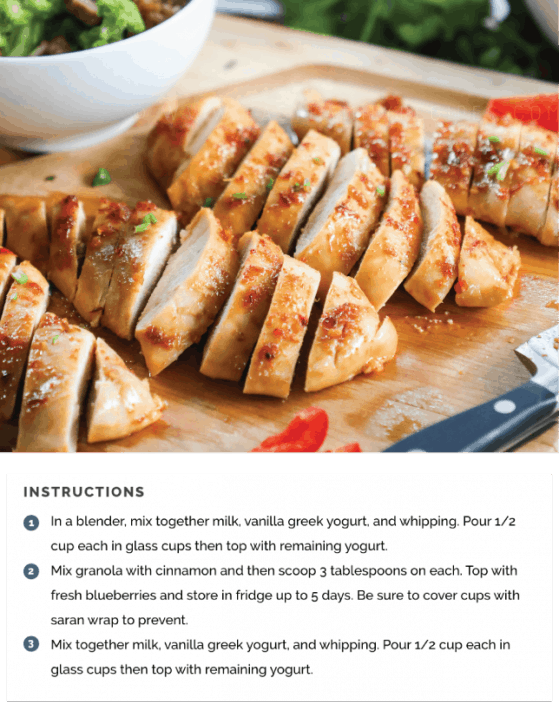 Do you have more Easy Chicken Recipes? Yes! See the ideas below, or explore the recipe index for endless ideas! 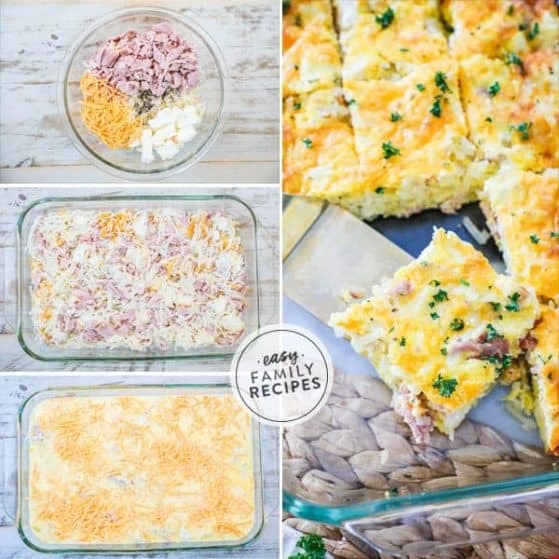 If you enjoyed this recipe, I have many more recipes to ease the dinner burden for another night. Make sure and sign up for my e-mail here to get them regularly in your inbox. 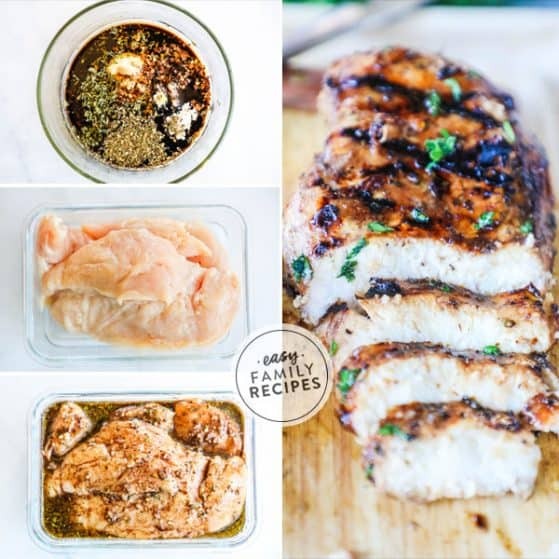 This Apple Cider Vinegar Chicken Marinade makes perfect tender and juicy chicken breasts every time! It is the perfect every day marinade for grilling chicken. The grilled chicken is perfect for a main dish, and can also be sliced and used on salads, pastas, grain bowls and more! Whisk together all ingredients except chicken to make marinade. Poke chicken all over with a fork. Place chicken in a dish, or zip top bag and cover completely with marinade. Let marinate for up to 4 hours, with a minimum of 30 minutes. Heat grill to medium heat and brush with oil to prevent sticking. Place chicken on the grill and cook 4-6 minutes per side, depending on thickness. Cook to an internal temperature of 165˚F. Let rest for 5 minutes, then serve hot. Hello, could this chicken be done in the oven instead of a grill? I haven’t made it this way but I don’t see any reason it would not work. Let me know how it goes if you get to try it!